Artificial Intelligence is certainly big news right now. Every day we see more and more research, documentary-based television programs, and new articles report about the advances in AI. There is certainly that fear that self-learning machines or robots will eventually take over the world – threatening all of our jobs in the process. We are possibly not that far away from a world where AI supported by big data can make the scenario in Minority Report a reality. Or is it already here and we are just too scared to use it? For all our concerns about AI, there are many advantages to this science or technology that can actually help society, people and the businesses that service them. I met up recently with Daniel Gebler, CTO at Picnic, a Dutch online supermarket, at the Re•Work Machine Intelligence Summit in Amsterdam, to ask some key questions about where this gazelle-like startup business is going and how it is using AI to power its operating model to really scale its business model. As I’ve spoken about on the blog before, the Operating Model is HOW a business runs itself. It is how it uses its people, processes, data and technology to execute its Mission and Vision and bring value to its customers. As we discussed Picnic and the technology that they have built, it became clear that AI is the foundation and an enabler of their Operating Model. Picnic’s success shows how businesses can build and apply AI to power their Operating Model and achieve success. As Daniel explains, Picnic’s success lies in their focus on just three things ‘customer obsession, technology focus, and a strong operations team.’ This Mission and Vision along with their focus on execution, has resulted in a €100 million series B funding round after just 18 months in business. To put this in perspective, Uber raised $37m in their series B round. Their technology focus has taken the company from starting out as a mobile-first delivery service, when most competitors are still web-based, to making the leap to being an AI-first technology company, where AI is now powering their Operating Model. This, in turn, delivers on their customer obsession as they can bring the best products and services to customers using their AI technology. This technology focus is not an accident. Daniel describes Picnic as ‘ a technology company where technology operation drives the whole business.’ AI is driving the Operating Model, bringing agility and innovation to their Strategy Journey. Once their MVP had shown that their business model could work, Picnic went back to their technology focus and started to build the AI that now powers their Operating Model. Their first challenge was to predict what their customers will want to buy in their next order. Picnic built an AI algorithm that can predict customers orders with more than 90% accuracy. They have now moved on to building the AI to analyze and use customer feedback and sentiment analysis. They are also working on an Alexa skill that will enable customers to order products directly to their shopping list via the Amazon Echo. In line with their ‘customer obsession’ they have realised that just knowing what their customers want to buy is not enough. Having groceries delivered is also about the logistics of getting them to the door. With this in mind they built AI to optimise all their logisitics including customers deliveries. With groceries coming in from favourite brands and local suppliers they’ve used AI technology to help them ensure minimal spillage and an average shelf time of 12 hours for their products. This is essential to ensure that their groceries are delivered fresh to their customers. For the delivery they use a fleet of electric vehicles which you can follow in real-time in the app. Even though more than 99% of their deliveries are fulfilled in the 20 minute delivery window, using the app you will always know precise up-to-the-minute information about when you actually will receive your groceries. But this is more than just an exercise in making appealing statistics. This is the HOW of their Operating Model. If they can run at 99% this enables them to deliver better value, ensuring that they are able to give customers the best prices as well as great service to build a loyal following. Picnic has used AI and data to power what are existing processes that are part of the everyday activities of a supermarket – really turning operational efficiency on its head and delivering improved customer experiences too. One of the key things for Daniel is that Picnic has been learning along the way. With the logistics for delivery Daniel notes that they’ve made some interesting discoveries. In order to optimise a delivery route most companies focus on the time between drop offs, the intra-drop time. Picnic has found, through their AI technology, that having a greater accuracy on the measurement and optimisiation of stop time – how long each driver stops to make a delivery – is a far better way to tighten up the logistics and bring measurable results for customers. So, Picnic are using AI to measure and track customer behaviour and they have the data to improve the customer journey process… cool. During the Summit I was struck again by the difference between using AI as a buzzword and using it as a tool to build technology to benefit your business, and how it can bring value to your Strategy Journey. In THE STRATEGY JOURNEY book, I will be examining AI and Machine Learning and how these elements can influence and enhance the Strategy Journey of your business. In a world of big data, large corporates have access to a wealth of information about their customers, as well as about how they do business and deliver value to their customers. By using AI and Machine Learning to build technology that can model and predict these customer and user journeys, or logistical challenges, companies can really leverage their data to find new sources of value. This can often be a double win for companies. Building new technology that streamlines your logistics and powers your Operating Model is valuable. Having AI assets that can be licenced to other businesses and applied to their own challenges further enhances the value of your company. Right now Picnic is building the AI to power its Operating Model. In the longer term this machine learning technology is the IP that is giving the company so much value, as reflected in its record-breaking Series B funding round. There is no doubt that Picnic is doing incredibly well in the AI space. I chatted to Daniel about what he thinks the future of AI will be and he had some interesting perspectives on this space. He sees a future where companies will be in one of two categories with respect to AI. On one side will be companies who are developing next generation AI technology. On the other will be companies that are using this AI technology and applying it to drive their business. He points out that some companies like Google and Facebook sit on both sides. Picnic started on the side of applying AI to their business model, through the embedding of AI in their Operating Model. However, they are now moving into the other side, developing the AI technology which will drive the Business Models of the future. This is another advantage that having a highly agile operating model, enabled by AI, gives you. For Picnic, one of the future paths lies in voice recognition. Whilst other companies have asked whether Picnic will develop a web-based offering, Daniel sees this as a backwards step for the company, preferring to look forward instead. Picnic has recently developed an Alexa Skill which will allow customers to add items to their shopping list using voice commands through Alexa. This is the power of using AI within the Operating Model of a business. 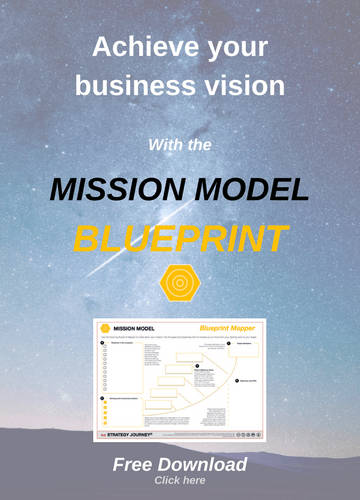 You start to have the ability to explore how to use your Operating Model for other use cases in other industries, to fast track growth and really start to scale your business. Whatever the future holds for Picnic I’m sure it will be bright. Daniel is passionate about his company, what they’ve achieved, and what they hope to achieve in the future. For me, getting the chance to chat to him about this interesting business model, building an AI-first company through their operating model and changing consumers habits gave me such a great insight into what Picnic does. They have embraced what AI has to offer in sharpening their value proposition, and redefining their customer journey, to create well-deserved success. AI and Operating Models and how they fit into your Strategy Journey will be a key area of focus for my writing and research for THE STRATEGY JOURNEY® book. I will be publishing more articles and interviews in the coming weeks featuring people who I think have a fresh perspective on the challenges of navigating their Strategy Journey.